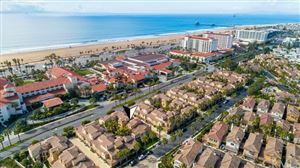 The Waterfront is a premier gated condo and townhome community located behind the Huntington Beach Hyatt near downtown Huntington Beach. 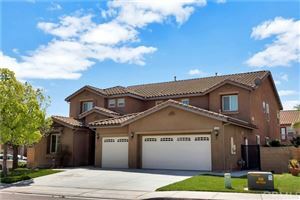 The Waterfront is located within a short distance to the beach, the Huntington Beach Pier and Main Street. There is also a pedestrian bridge only a short walk away that will take you over PCH (Pacific Coast Highway) and put you right on the beach. The Waterfront is made up of Sea Colony and Sea Cove. 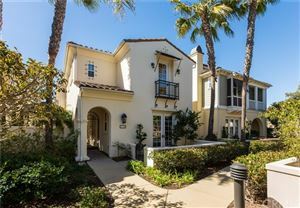 Click here for a list of all available properties in Sea Colony and Sea Cove at The Waterfront. 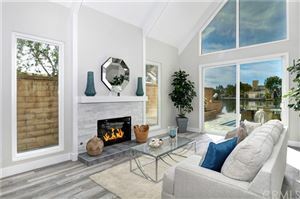 Sea Colony at The Waterfront were built in 2005 by Christopher Homes and is made up of 78 townhomes ranging from a 3 Bedroom / 3.5 Bath with 2,961 sq/ft up to a 4 Bedroom / 3.5 Bath with 3,387 sq/ft of living space.  Sea Colony offers both 2 and 3 car attached garages depending on the floor plan. Sea Cove at The Waterfront were built in 2005 by William Lyon Homes and is made up of 60 condos ranging from a 2 Bedroom / 2.5 Bath with 1,620 sq/ft up to a 3 Bedroom / 3.5 Bath with 2.690 sq/ft of living space. Sea Cove has both 2 and 3 level condos and they vary depending on the floor plan. All units in Sea Cove have 2 car garages and direct access to the home. The Waterfront community is completely gated with 2 separate entrances for residents with a gate code or remote to enter. The amenities in The Waterfont include a posh style pool & spa, BBQ and beautiful landscaping throughout. The Waterfront does have an HOA which covers these amenities as well as the common area and exterior maintenance and security.